December's Stamp of the Month is all about AMORE! I know it is too early to be thinking about Valentine's Day already but if you plan to make some cards for February 14 you need to get your stamp this month! I had so much fun playing with this stampset. I stepped away from the pink and red traditional valentine colors and reached for one of my favorite paper packs of this season - Magnifique and the colors of Pacifica, Chocolate and Lagoon. I'm so excited to share my cards with you! I made 3 different cards but I will share 2 today and a 3rd on Friday. So you'll have to come back and see my FAVORITE card of the three. This is a 8 x 3 1/2 card pattern from Originals. The pattern is called Vertical Three but I changed it up a bit and made it a "Horizontal Three". 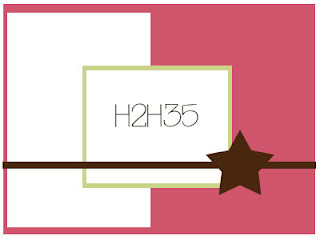 My card is accented with the Opaque Pearls Adhesive Gems (LOVE these gems!) 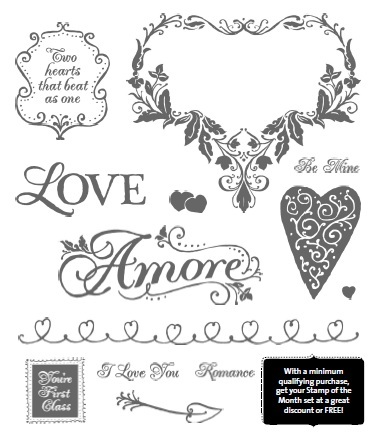 I stamped the heart two times with Pacifica ink using 2nd generation stamping and punched out a circle from each. Then I stamped the smaller hearts with Pacifica ink. This second card is from Originals - Package Deal. This pattern is for a 6x6 card but I made it just a bit smaller using a 5x5 portion size. I used 2nd generation stamping with Lagoon ink in the small white square using the bottom portion of the heart of vines stamp. To add a little bling I used our Clear Sparkles. Remember.... the December Stamp of the Month is ONLY available during the month of December! You can get it at a discount too! 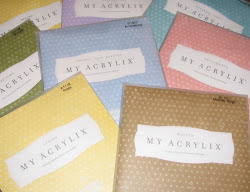 Be sure to visit my website at www.stampinheaven.myctmh.com to find out how you can get it for FREE! 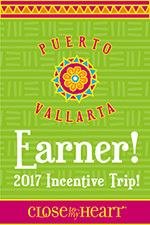 Want to see more great artwork with this stamp? 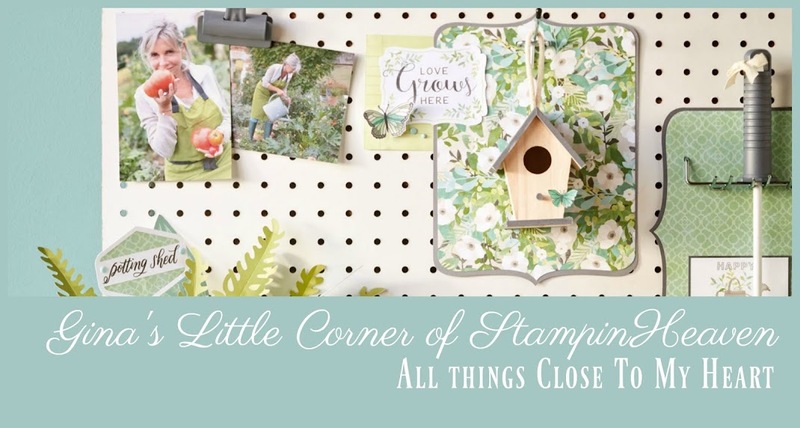 Jump on the Stamp of the Month Blog Hop by other Close To My Heart consultants. 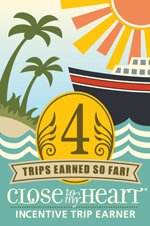 Start with Jenifer's blog and hold on for the ride! On this card I wanted to make my reindeer fly so I used 1st, 2nd, and 3rd generation stamping. I stamped Santa twice. To get a good deep color on Santa and to cover up the white edges where I trimmed him, I used a sponge dauber and inked over the entire surface and edges of the Santa. I cut out the snowflakes on the 2nd Santa and adhered them to the first Santa with glue dots to give just a little dimension (doesn't really show in the picture). I used the 3-D foam tape to make Santa stand out from the Reindeer. Cranberry Grosgrain Ribbon (Z1103) On SALE! 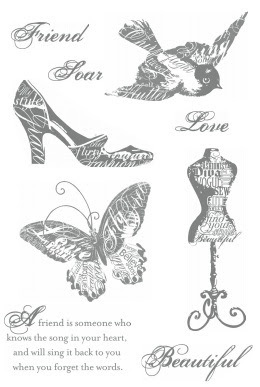 I LOVE this A Timber stamp! It is only $7.95 and you can do so much with it! 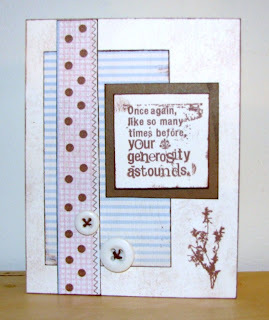 I quickly made about 16 cards with this stamp and leftover scraps from my card workshop! I hope you enjoyed today's cards! Maybe today I'll get a tree put up if I can stay out of my scraproom! I love this time of year! Thanksgiving holds so many special memories for me. For many years, my family would gather together at my grandma's farm in Newburgh, IN. Now we stay close to home and we go over to my moms - each bringing our specialty dish! So much food! I hope everything is having a wonder Thanksgiving holiday and spending it with family and friends! Today is a gift, that is why we call it the Present. Just in time for Thanksgiving! 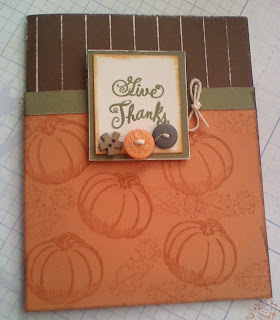 My good friend and StampinHeaven Hostess Club member created this beautiful Thanksgiving card. 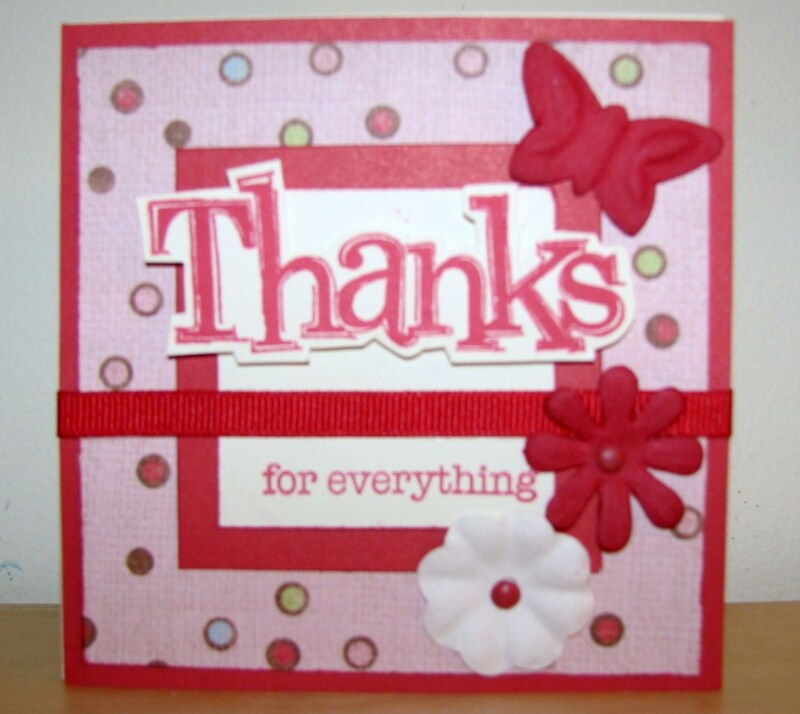 She used the Centers Accent pattern the Jeanette's How To book - Originals. 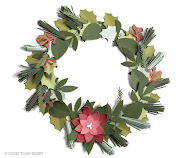 I love these how to books for cards. 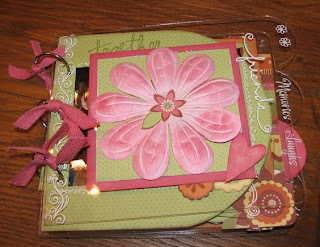 If I find a card I really like but don't want to make the size shown in the book, they are so easy to adapt to other sizes, which is what Terry did here. 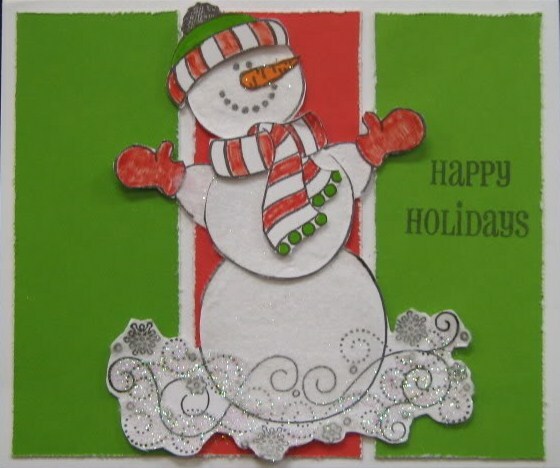 For this card, Terry used Cocoa, Goldrush, Olive and Colonial White Cardstock. The card shown in the Originals book used a pattern B&T for the piece at the bottom. 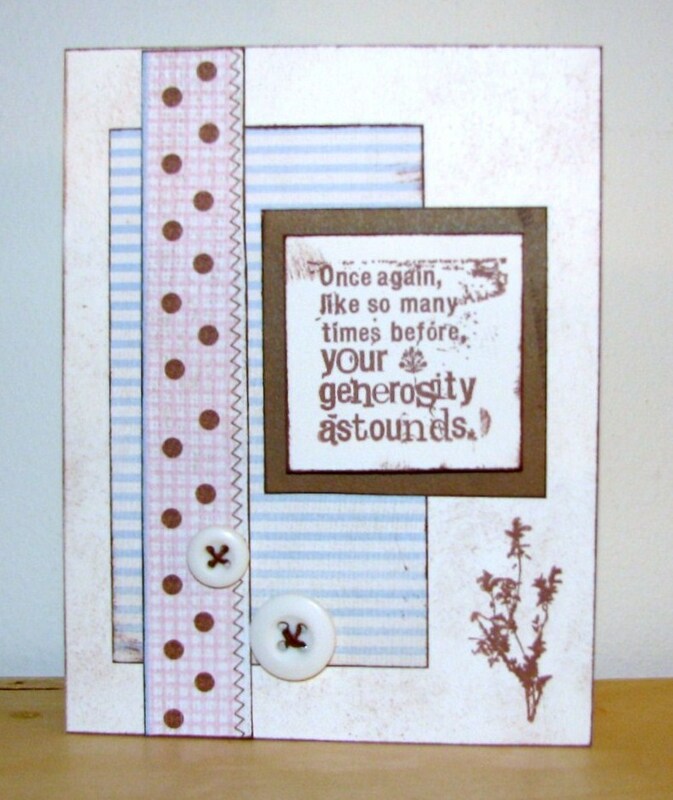 Terry created her own B&T by using random stamping with Goldrush ink on the Goldrush piece of cardstock. She used dry embossing on the cocoa piece at the top. Terry exposed her embossing by sanding the cardstock to bring out the white core. 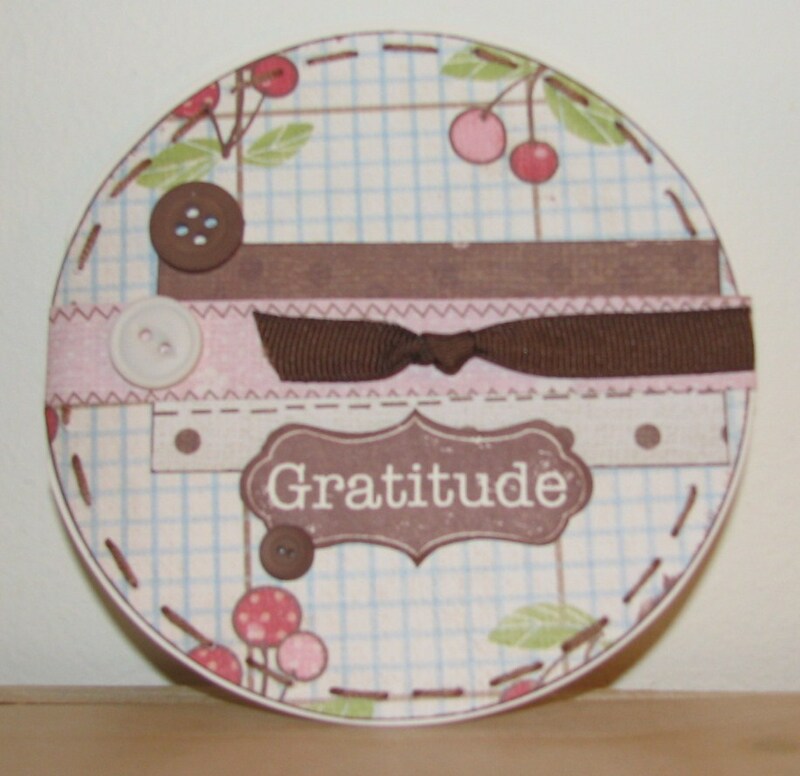 The buttons adorning the card were from Close To My Heart's Autumn Button collection (now retired). They are adorable on this card! Gee.... wish I had thought to order some of those before they retired! Make a note - see something you like on the retiring list?? Be sure to order it before December 31!. To see the products that are retiring at December 31, click on the link to the left under "Shop With Me". Thank you Terry for sharing your card! Be sure to leave her a 'love it' comment! Would YOU like to be in my Customer Spotlight? Just send me your card, layout, 3-D project or other artwork. 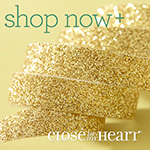 I just ask that you use only Close To My Hearts products. Email a picture of your work along with a recipe of products used. Last night as Jeff & I were getting into bed, he asked me "Did we leave a light on outside? It seems really bright." I said "no - must be full moon. Just like it was 16 years ago." November 19, 1994 was a memorable night. It was the first weekend of gun season for deer and my husband wanted to go hunting. I was one week overdue with my second child and Jeff wasn't sure he should go. I insisted he go. I told him that if he stayed around nothing would happen. I was getting frustrated that this baby was taking so long to decide to come. 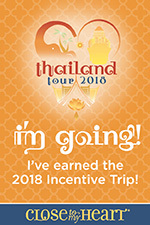 Jeff agreed to go only if I went to stay at my mom's house. I'll never forget as we stopped to pull out onto the highway, looking up and noticing how big and full the moon was. Jeff looked at me and said "Are you sure?" I told him "I sure!" So I went to my mom's and he headed for the woods. As the morning was about to dawn, Kayli decided it was time. Jeff had just climbed into his tree when he got the call - You'd better come now! Kayli Nicole came into the world full of life and raring to go. From the first moments, I realized that Kayli was unstoppable and determined in everything she would do. She always knows what she wants and she will do what she needs to get it. This is a wonderful trait but can sometimes be trying for a parent. So, this year is the BIG 16. A big milestone that needs to be celebrated in style. Kayli has always been very specific in what kind/type of birthday cake she wants. (I really don't know where she got that because all I ever got to choose when I was growing up was a Chocolate, Vanilla or Yellow cake!) Maybe it's the 'designer' in her. She found a picture and showed it to me - "This is cake I want." Rather than go to a bakery, I decided I would give it a try. (She would be aghast if she knew what I planned). When she asked if I found someone to do her cake, I told her I had it covered. As we are putting away the groceries, she comes across a white cake mix. "I bought that because it was on sale!" I said. "Who is making it? Is it a friend?" she asked. "hmm... yeah, it's a friend" I said. "Do they have my picture I sent to you". "Uh yeah - they have your picture". So off to school she goes and I come back home and begin my quest for that 'perfect' cake. After 3 hours I washed and put away all evidence of any cake baking & decorating going on in my kitchen today. It's not EXACTLY like her picture but I think it is close enough and not too bad for someone that doesn't know a darn thing about cake decorating except for what I've seen on Cake Boss! I know I probably should have written on it but couldn't bring myself to do it. Just didn't feel right! Maybe I'll make a little sign to stick in it. After my day of being Cake Boss, I think I'll stick to scrapbooking and cardmaking. The cake will be all gone after tonight. But the things I scrapbook or cards I make will be around to enjoy for a long time. Here is the card that I made for Kayli's 16th birthday. Oh and BTW.... She did get her Driver's License this morning so WATCH OUT!! This is one of the most fun items of the My Creations products that I have ever done! 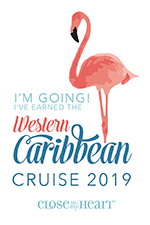 And, sad to say, it is retiring after December 31. I went ahead and purchased a couple of extras because I know I will want to do a few more of these before they are gone. This little mini album pictured here was one I created for my daughter's birthday. 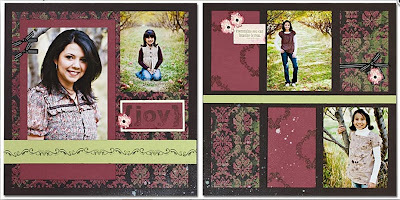 The challenge in creating an Acyrlic Mini Album is hiding your adhesive and layering your pages. Your top page will reveal a little bit of the the page underneath. Close To My Heart's Rub-Ons work beautifully on these pages also. For this album I used Boom-Di-Ada paper (now retired) and Nature's Ambiance Rub On's and the stamp set Friendship Word Puzzle. This stamp is one of my "Go-To" stamps when I do anything about friendship. I will never tire of this one! Check out my slide show below that shows each page of the album. One of my FAVORITE My Creations products is the Display Album. 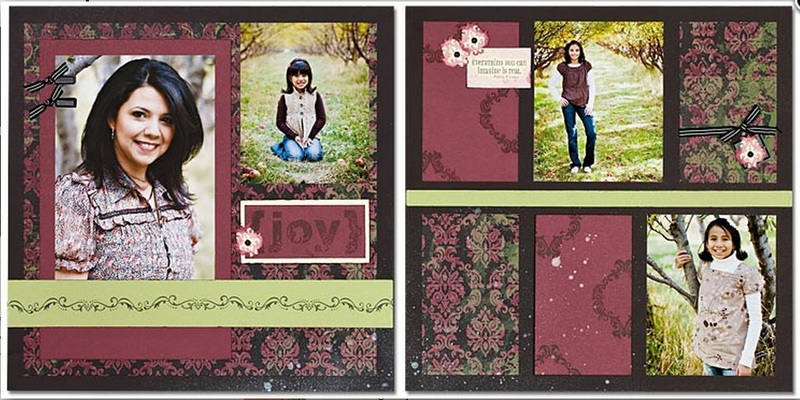 This incredibly versatile album has a hard front and back cover that is easy to cover and embellish. It opens up in a triangle fold for displaying on a desk or end table. You can get creative and use it as a desktop monthly calendar, photo flip frame or even a recipe book of heirloom recipes. This album is just $7.95 and would make a great gift! See some great examples of Display albums below. I created this album highlighting some of my favorite recipes from an annual Cookie Swap I attend each year. 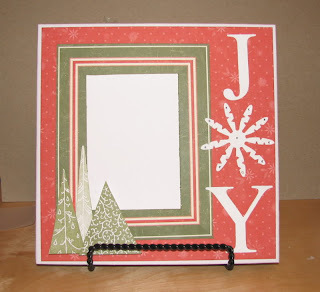 I used paper from the Mistletoe Creative Basics paper (X5811) along with the new Old World Alphabet Stampset (E1017). I embellished the cover with Cranberry Designer Ribbon (Z1209) and Mistletoe Level 2 Assortments (Z1330). There are 12 spiral bound 6x6 page protectors that are perfect for protecting your recipes! 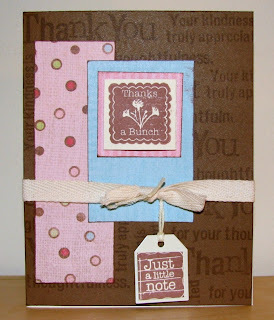 Print out your recipes on cardstock and embellish with fun stamps! Here is a fun idea! For a Cookie Swap - take a picture of the person and include it with their recipe! If you are making an Heirloom recipe album - be sure to include pictures of the person that handed down the recipe. This will be a keepsake! 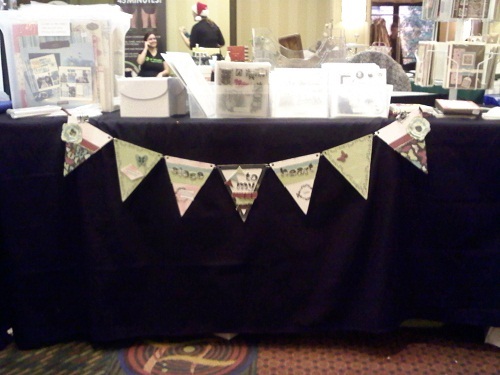 Check out this Display album created by my niece April for her husband. (They were newley engaged at the time) April wanted to make something special highlighting special moments that she and Zach shared. 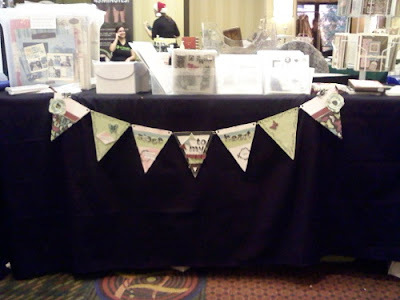 She used paper from the Emporium Level 2 kit and various stampsets. If you don't know April you will soon! Earlier this summer, April Slayden McKinney was selected as one of Paula Dean's Women of Philadelphia Finalists in the Appetizer category for her Blue Peach Pizza recipe! She got to go to Savannah, Georgia and spend several days with Paula Dean and cooked her specialty on Paula's show. COMING NOVEMBER 22 April will be featured on the NBC Today show demonstrating her Hot Sticky and Sweet Potatos. April is an up and coming cooking star! 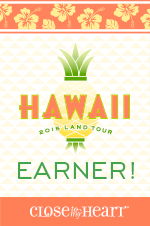 Check out her blog - Cookin Up Dreams As if April is not busy enough traveling the country, she started her own business called Doorstep Dinners. April made special sandwiches and Pumpkin Chocolate Chip cookies for my Clear Card Workshop and they were a HIT! Stay tuned for more My Creations product highlights! Here is a quick and easy memory album that makes a wonderful gift! These Memory Showcase Albums come in two sizes: 9x9 ($5.95) and 6x6 ($3.95). The front and back of the albums are like hardbacked books. You open the front cover to reveal two 2-page layouts. When the book is closed you can open the back cover and it will reveal another 2 page layout! This is a total of 8 pages. I have done several of these as gifts. I also made a 9x9 Memory Showcase album for my Dad for Father's Day. He had restored some antique cars which I knew he would eventually sell. What better way to preserve the memories of the finished restorations than in this keepsake book! Our new Passages Level 2 (X7126B) paper would be perfect to make a vintage album for someone you love. Next is 6x6 Memory Showcase that I did for a family gift exchange that features a traditional recipe that is brought to our Thanksgiving meal each year. This is something that will treasured for years to come. The paper used on this album was Abundance which is now gone but our new Olivia Level 2 (X7128B) paper would be perfect for this type of gift! Our Level 1 kits are perfect for the 6x6 Memory Showcase Albums. Just cut your base pages into 6x6 squares. 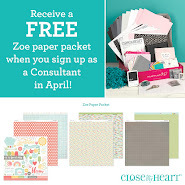 You also have 2 sheets of cardstock and 2 sheets of matching B&T to use PLUS stickease! Now THAT is Fast and Easy! I hope you enjoyed my Memory Showcase albums. Order some today and make something from your heart! 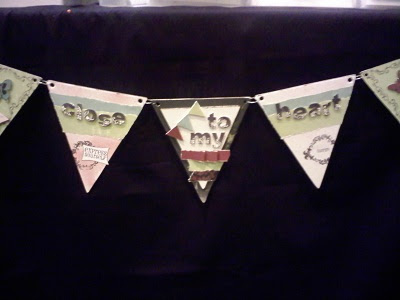 Close To My Heart has some great 3-D products called My Creations that you can alter to make some very special gifts. They are easy to alter - just cover with paper and embellish! We have a wide selection of My Creations 3-D products - the Showcase Memory Albums (9x9 and 6x6), Display Album, Recipe Box, Mix & Mingle, Board Book, Journal, Acyrlix Album, All-Sorts Mini Album and more! Over the next several days I will be sharing some of the 3-D My Creations projects that I have done. Just recently I finished a My Creations Cube. I have to admit, I have had this cube for a while. I just wasn't sure what I wanted to do with it because there are so many possibilities. Our Idea Book has some great artwork pictured through out the book using the cube. I chose to make my cube a Christmas gift box! This cube is 5x5x5. It is the perfect size to hold a Christmas coffee mug and some hot chocolate! The cube comes flat which makes it so easy to cover. I cut each sqaure of B&T paper and aherred it to the cube. (Be sure to turn it over and cover the that side also - it will be the inside of the box.) It only took 2 and 1/2 sheets of 12x12 B&T paper and 1/2 sheet of cardstock. I covered my cube with the paper from the Mistletoe Creative Basics. ﻿For the front of my cube I used the A Sip stamp. I stamped the cup with Cranberry Ink, the spoon, steam and sentiment are all stamped in cocoa ink. I embellished with Mocha Adhesive Gems. The box is tied together with cranberry ribbon. Order a couple of cubes ($4.95 each) and give a gift that will warm someone's heart.